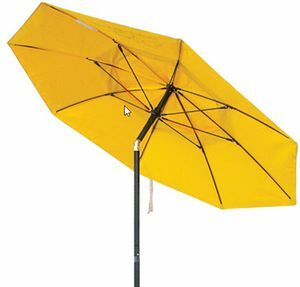 Perfect for outdoor protection from sun and rain, Black Stallion's welding umbrella is made from flame and weather-resistant yellow ripstop vinyl. 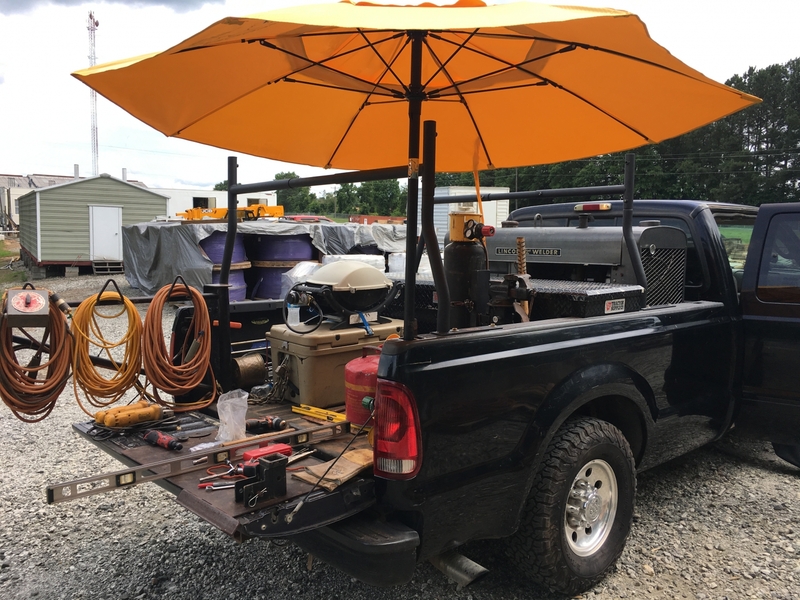 Eight flexible fiberglass ribs and sturdy 1 1/2 inch powder coated aluminum pole mean this welding umbrella will last for years of trouble-free service. Lightweight aluminum construction with 1 1/2" diameter powder coated aluminum pole. What is the approximate weight of this umbrella? 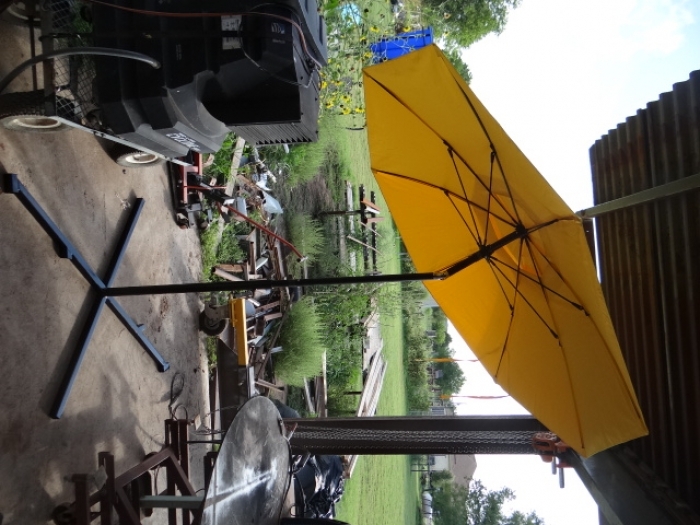 Black Stallion Welding Umbrella UB100 weighs about 10 pounds. Black Stallion Welding Umbrella UB100 is only available as the whole curtain. What is the canopy part made of? Black Stallion Welding Umbrella UB100 is made from flame and weather-resistant yellow ripstop vinyl. Is the yellow duck still vinyl? 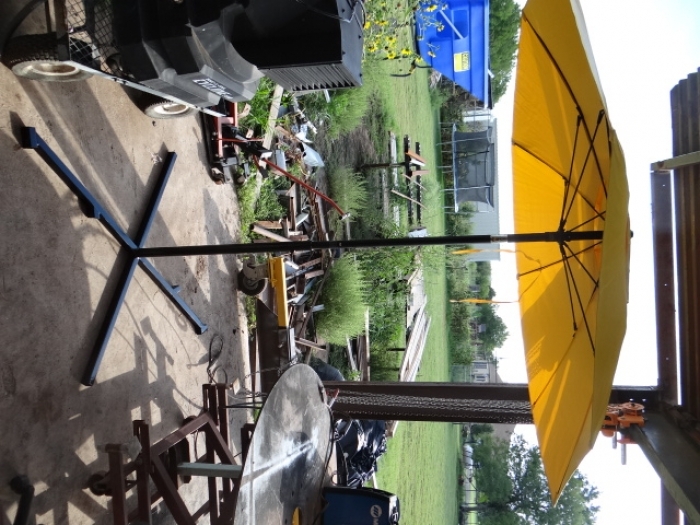 Do you have a stand suitable for use with this item - stand will be moved around near railroad tracks. The Wilson umbrella does not have a stand. Please check back on the site in a day or two. We will have the Black Stallion UB150 available, which does have an excellent stand. This umbrella is very well made and I feel I will get many years service from it. Like any tool I must maintain and not abuse it .I am confident in its construction and materials used like the fiberglass arms which are sturdy yet forgiving when they are pressed against. It was put to work the day of delivery. The welding field is very demanding and brutal in the asphalt industry, conditions are mostly hot and cloudless and I have to go to the equipment usually on the roadside where it performs flawlessly. I gifted this to my father and he absolutely loves it and has been using it a great deal! It's very sturdy and easy to take up and down. Just what the doctor ordered. Easily deployed and works great. Made with durable materials that will hold up to daily usage. Very useful piece of gear. This is a solid built umbrella, way better than the ones built with metal ribs and stretchers. I've had a lot of umbrellas over the years and this is the best, a lot better than Lapcos!!! The umbrella is very useful. This item had a nice umbrella but the metal the pole was made of was not heavy duty metal. I don't think it would last on a construction site for more than a week, or in a big wind. It also had a slip together two piece pole with a push button to snap it in place, but the hole was not lined up to the push button so it could not be put together. I considered making my own stand but I thought for the cost it should have had a much stronger pole. Consthe pole for the umbrella is a little thin, I have no idea how long it will last. ProsVented top, large size, carrying /storage case. Fiberglass ribs should flex more than metal ones. Cons Still not sure if the material will hold up to sparks from grinding.